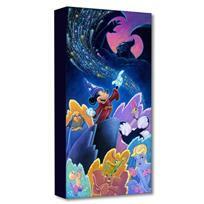 Tim Rogerson, "Splashes of Fantasia " Limited Edition Gallery Wrapped Canvas from the Disney Fine Art Treasures collection; with COA. 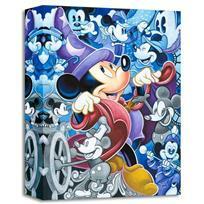 "Mickey's Creative Journey" Limited edition gallery wrapped canvas by Tim Rogerson from the Disney Fine Art Treasures collection; with COA. 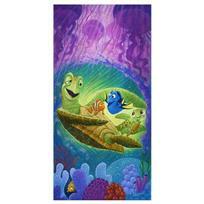 "We Only Have Each Other" Limited edition gallery wrapped canvas by Tim Rogerson from the Disney Fine Art Treasures collection; with COA. 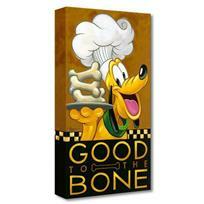 "Good to the Bone" Limited edition gallery wrapped canvas by Tim Rogerson from the Disney Fine Art Treasures collection; with COA. 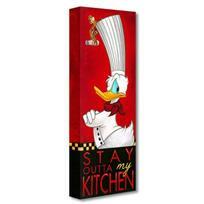 "Stay Outta My Kitchen" Limited edition gallery wrapped canvas by Tim Rogerson from the Disney Fine Art Treasures collection; with COA. 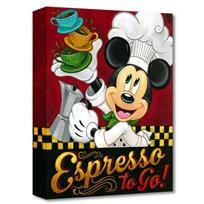 Tim Rogerson, "Espresso to Go! " 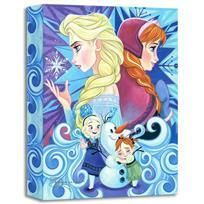 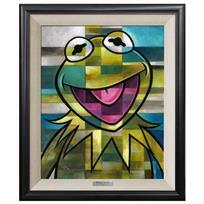 Limited Edition Gallery Wrapped Canvas from the Disney Fine Art Treasures collection; with COA. 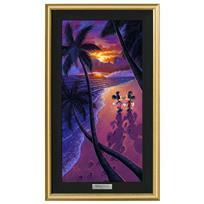 "Mickey's Venezia" Limited edition gallery wrapped canvas by Tim Rogerson from the Disney Fine Art Treasures collection; with COA. 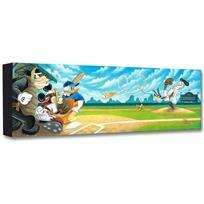 "Swing for the Fences" Limited edition gallery wrapped canvas by Tim Rogerson from the Disney Fine Art Treasures collection; with COA. 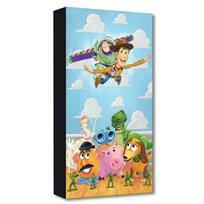 Tim Rogerson, "The Original Toys " Limited Edition Gallery Wrapped Canvas from the Disney Fine Art Treasures collection; with COA. 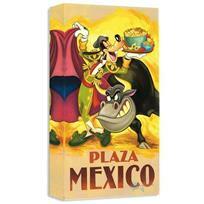 "Goofy's Plaza Mexico" Limited edition gallery wrapped canvas by Tim Rogerson from the Disney Fine Art Treasures collection; with COA. 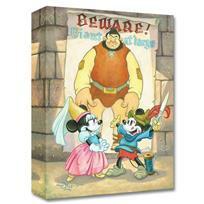 "Giant at Large" Limited Edition Gallery Wrapped Canvas by Tim Rogerson from the Disney Fine Art Treasures Collection; with COA. 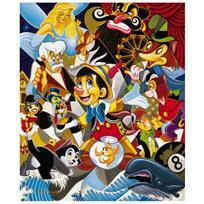 Tim Rogerson, "Strings of Temptation" Limited Edition Giclee on Gallery Wrapped Canvas from Disney Fine Art, Numbered and Hand Signed with COA. 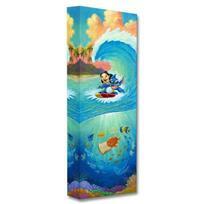 "Hawaiian Roller Coster" Limited edition gallery wrapped canvas by Tim Rogerson from the Disney Fine Art Treasures collection; with COA. 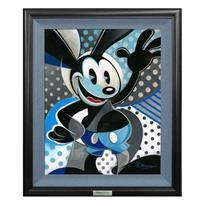 "I Dream of Genie" Framed Limited Edition Canvas by Tim Rogerson from the Disney Fine Art Silver Series; with COA. 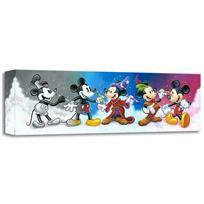 "Celebrate the Mouse" Limited edition gallery wrapped canvas by Tim Rogerson from the Disney Fine Art Treasures collection; with COA. 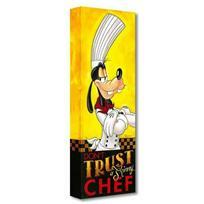 "Don't Trust a Skinny Chef" Limited edition gallery wrapped canvas by Tim Rogerson from the Disney Fine Art Treasures collection; with COA.